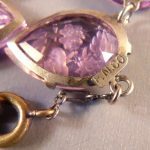 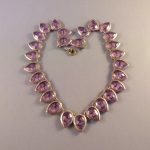 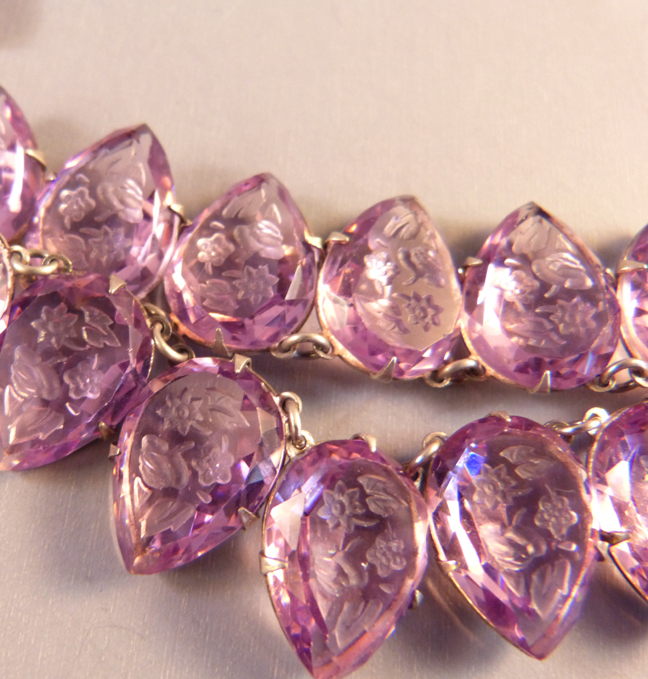 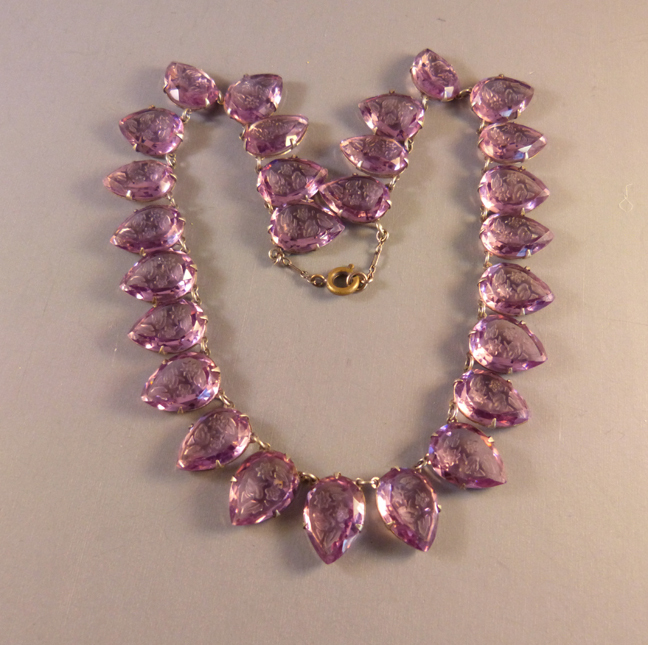 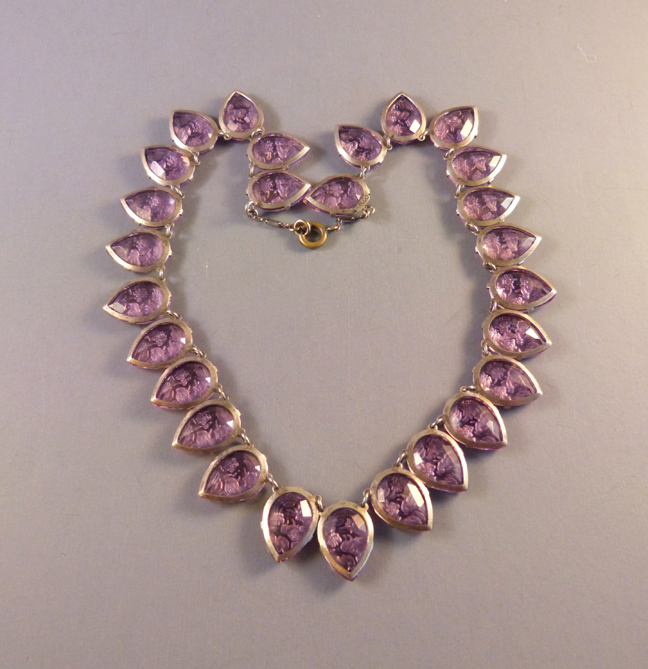 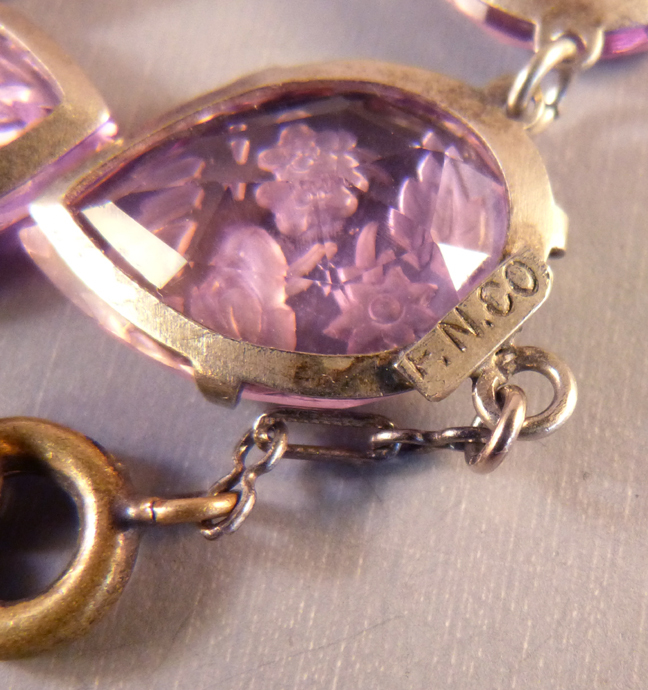 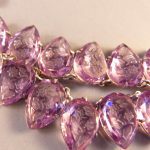 FISHEL NESSLER & Co purple glass necklace with teardrop-shaped glass elements intaglio cut flowers and leaves, 15" by 3/4". 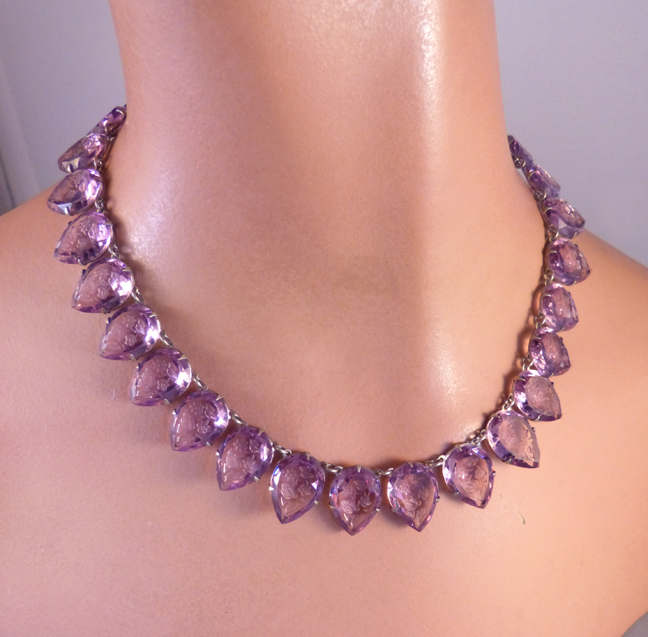 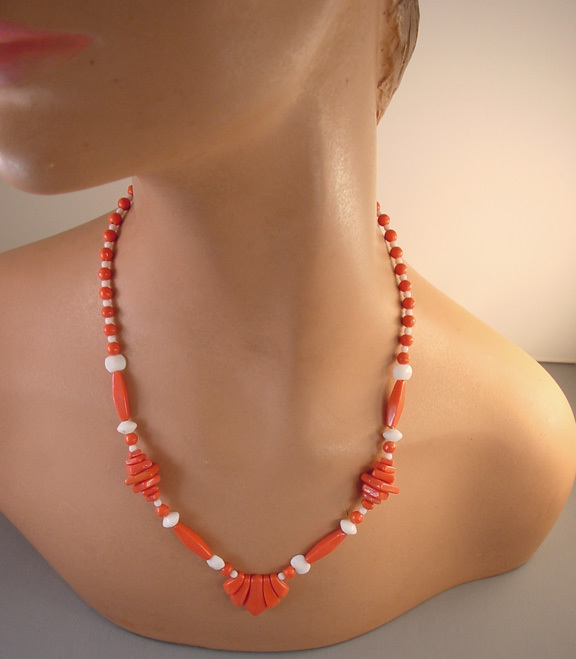 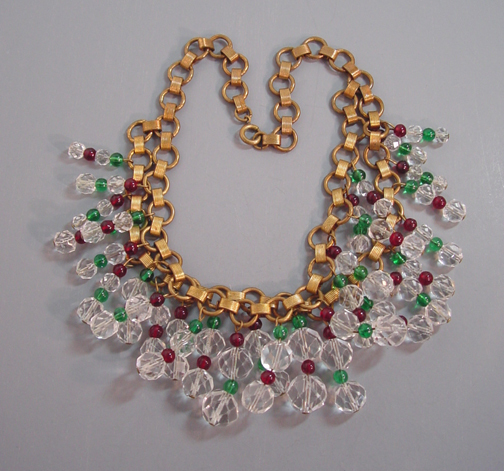 If you want a longer necklace, we can easily add an extender on it without harming it in any way. 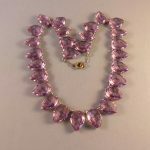 Each of the teardrop-shaped glass pieces has flowers and leaves cut into it, and they are claw set in a silver tone setting. 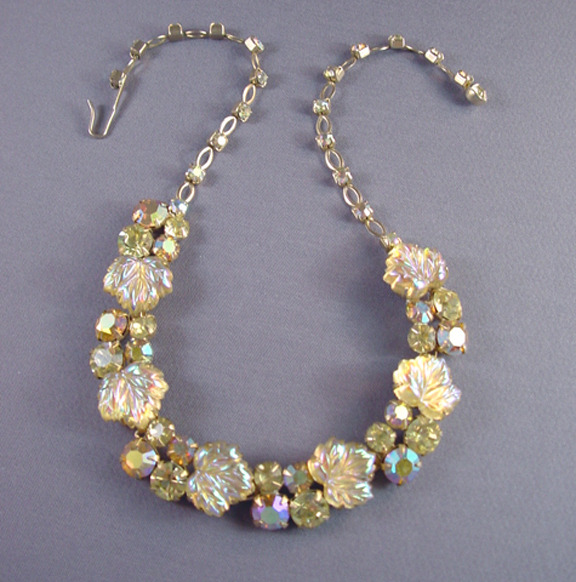 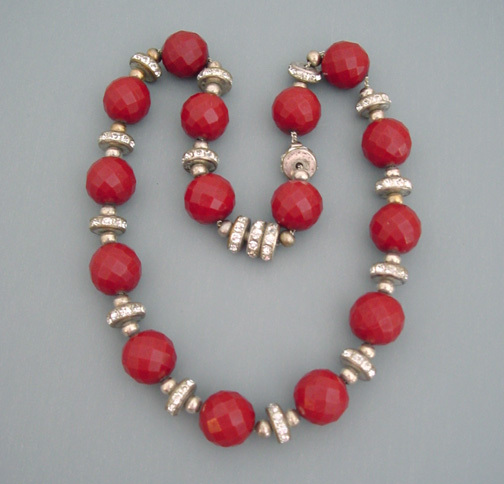 This company made jewelry from about 1900 to the 1930s, and I think this necklace is from the 30's.